The second “ACCelerate: ACC Smithsonian Creativity and Innovation Festival” featured four unique exhibitions presented by Wake Forest students and faculty. Wake Forest was just one of 15 Atlantic Coast Conference (ACC) member schools represented, which gave students and faculty the opportunity to present their work to the other ACC member institutions and to the public. The festival was held on April 5-7 at the Smithsonian’s National Museum of American History in Washington, D.C. It was sponsored by the Smithsonian’s Lemelson Center for the Study of Invention and Innovation. The three-day festival provided visitors the opportunity to engage with state-of-the-art technologies that use art, science and the humanities to address global challenges. One of the four exhibitions showcased a summer study abroad experience Wake Forest offers in Peru. Biology professor Miles Silman and journalism professor Justin Catanoso teamed up to teach a four-week course titled “Tropical Biodiversity and Science Writing,” which focuses on environmental conservation in the Peruvian Amazon. Silman and Catanoso were joined in Washington by four students who attended the program. “It was wonderful to have tens of thousands of people from the public come through the exhibit and actually care to hear about our story,” junior Ellie Bruggen said. The exhibit focused on conveying the importance of environmental protection, global warming and tropical forests to the public. “I think that we provided a unique window into creativity and innovation at Wake Forest,” she said. 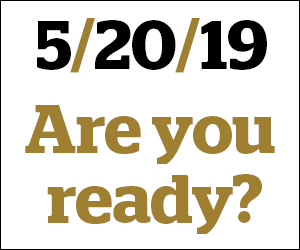 The highly successful Wake Forest Debate Team debated each other and the public in brief five-minute sessions, discussing the nuances of various topics, from the Smithsonian’s opening to its closing. “We debated on many topics, ranging from whether we should all be vegetarian to save the environment to whether voting should be mandatory,” said Debate Team member and sophomore Ruby Klein. Four undergraduate debaters participated, as well as three graduate students, who also serve as Wake Debate coaches. While many of the other exhibitions present science-based projects, this one shared the team’s love for dialogue and public speaking. “The trip was certainly a highlight for me on Wake Debate; it is rare that we get to share our esoteric activity with people outside of it, and the ACC Festival was a wonderful opportunity to showcase what it is that we love about debate,” Klein said. The third exhibit featured Wake Forest’s Every Campus A Refuge (ECAR) chapter. Professors Michaelle Browers and Alessandra Von Burg co-founded the chapter in 2017 after learning about the Guilford College chapter. Every couple of months, the university chooses a new refugee family to live in the ECAR house off-campus. Wake Forest students then volunteer to help the families adjust to their new living situation. “We decided to apply to the festival not only to showcase the work we do, but also to persuade other universities to do it too,” said Von Burg. The two professors were joined in Washington by five students from the Student Association for the Advancement of Refugees (SAFAR). “It was great to see how engaged and how passionate the students are,” Von Burg said. The exhibition featured several interactive tools so visitors could see the path refugees took to get to the United States and what obstacles they faced. Visitors were also able to fill suitcases with messages for the refugee families. “It felt great to be able to stand there and say as Wake forest University, we welcome refugees,” said Von Burg. The Wake Forest Balinese percussion and dance ensemble also performed at the festival. 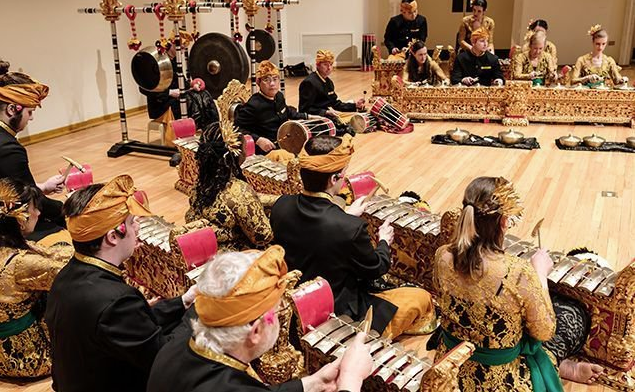 They played the gamelan, a traditional Indonesian instrument, along with gongs, keyed percussion instruments, drums and flutes.